Yesterday, November 10th, we spent the entire day sightseeing an old colonial part of Salvador called Pelourinho. The buildings are a representation of colonial Portuguese architecture. The majority of the older buildings are painted in light colorful colors. 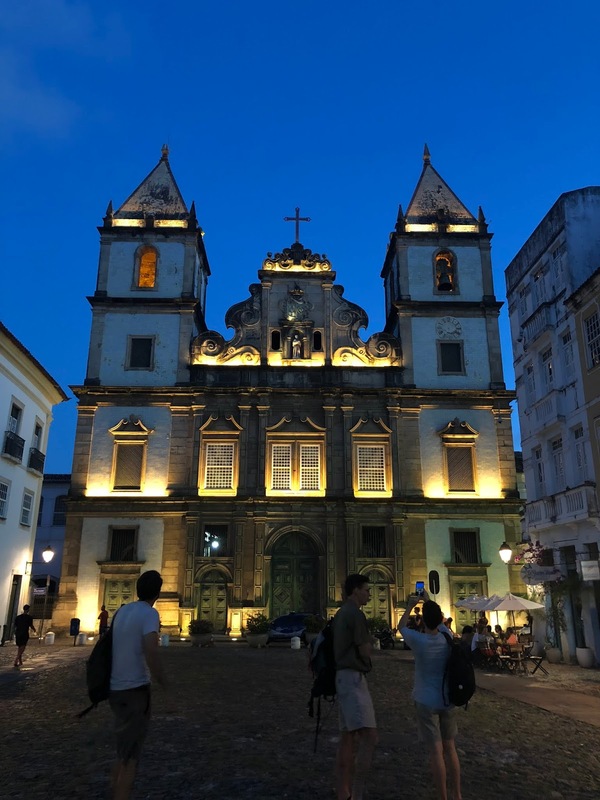 We first went around in four different groups with students from the local area learning about Pierre Verger and African influence in Brazilian culture. After, we got to spend some free time exploring the town and shopping at the local markets near the town plaza. 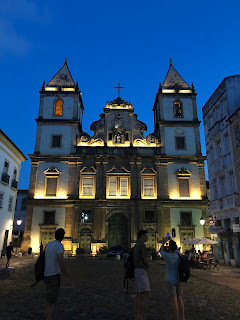 We then visited the Church and Covent of Saint Francis, where we learned about the Franciscan influence on Salvador and how race was depicted in the religion. The church was inspired by Baroque architecture, with the inside of the church covered with numerous gold leaf carvings. This architecture left everyone in shock upon walking into the church. After dinner we went to see the Bale Folclorico da Bahia show. We saw a theatrical showcase of Afro-Brazilian culture through dances such as the traditional dance of the candomblé religion, capoeira, and samba. In the candomblé dance, the dancers dressed up as different African gods called orixas, which are representations of the African spiritual cosmology in candomblé. The capoeira showcase was interesting to watch after having practiced it ourselves on a smaller scale. It was a whole new level of speed and agility through their flips and rapid kicks. To close off the show, there was a lively dance of samba, showing the happiness and energy exerted by the group through the dance. Today we went to the Pierre Verger Foundation Center. Pierre Verger was a French photographer who was well known for his research on the Afro-Brazilian culture in Bahia. There we took an Afro-dance class that incorporated elements of nature through the movements. The people there prepared a wonderful lunch full of traditional Brazilian food, such as manioc and guava juice. The desert satisfied our sweet tooth with coconut chunks and shavings as well as cake. Then we did two more workshops: art and percussion. In the art class, we took recycled soda bottles and made them into decorated flowers. In the percussion workshop, we learned how to play the drums and many other Brazilian native instruments. 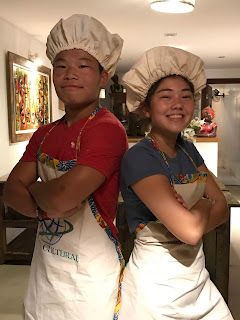 We took a group picture with the people in the cultural center and got a surprise gift: an apron and chef's hat for each person. We then took an hour bus ride and arrived at our hotel in Praia do Forte. Delicia gender use the internet related to toys. It could additionally be pleasurable they have got brochures regarding distinctive things.